Happy Easter and thanks for visiting! It seems to be getting warm in Boston and I am so excited about this coming season of having fun with colors. I have already started mixing brights with light winter outfits; here I am wearing a coral dress from Banana Republic, paired with Clarks Charlie Zip boots in British tan leather. 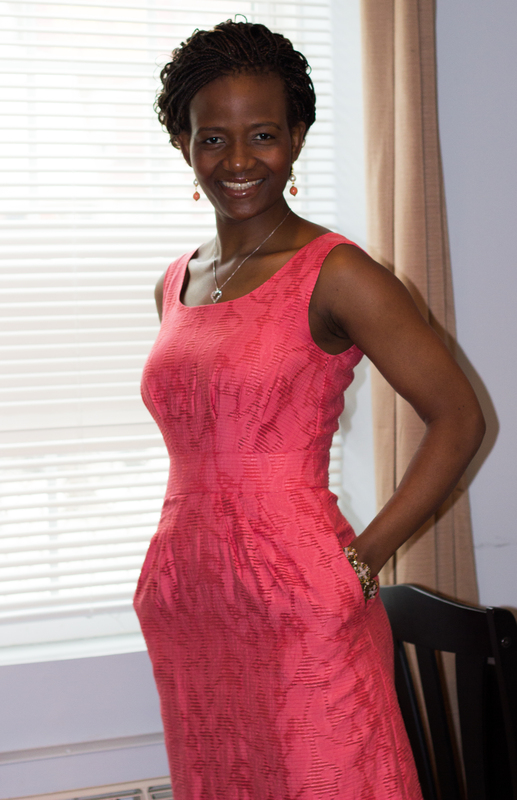 Coral is one of my favorite spring/summer colors; it is very bright and easy to match with a variety of colors. I usually wear it with nudes, whites and sometimes black. Last year, coral was very trendy and it is back again this year in a variety of soft hues. I snatched this pretty BR dress off the clearance rack last year, and received an additional 40% off the marked down price, so I ended up paying less than $39. 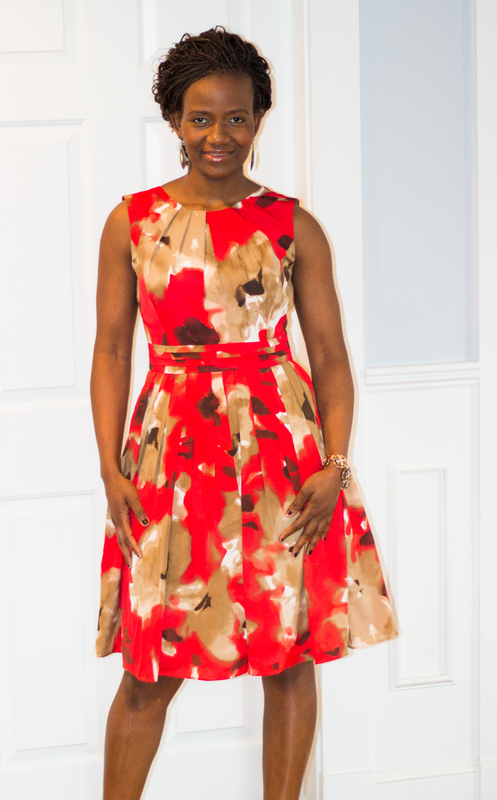 This dress is versatile; it is work appropriate, fun to wear on a weekend, and can be dressed up to suite a variety of occasions. Here, I went with casual boots for a laid back look. The boots were love at first sight, but I was not willing to pay full price when I saw them at the end of summer last year, so I waited and got them mid-fall when they were down to 25% off. These boots are sold out at Clarks, but they are available online at 6pm.com. This classic fit and flare dress is amazing! The bold print, fitted bodice and flared skirt make this dress comfortable, fun and feminine. It’s simple, yet exudes style and sophistication. 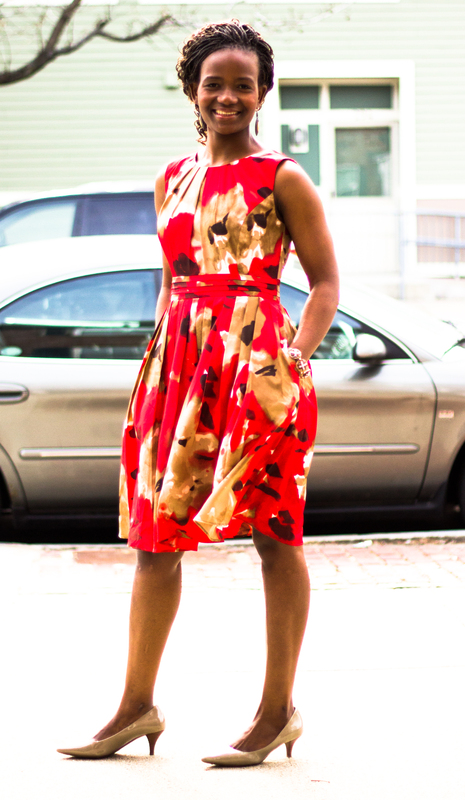 This dress also features convenient side hand pockets that add an extra touch of playfulness. As you can imagine, there are endless possibilities with this classic, it can be worn to church, weddings, work; it is versatile indeed! As expected, I bargained the dress for $39.99 from $128. The shoes are Bandolino Flex classic taupe pumps. They are heavily padded inside and feel more comfortable than sneakers. These were a steal too at $16.15 down from $69! Today is officially the first day of spring, but it still very cold in Boston, so we are stuck in winter gear. I recently wore this purple coat and a coordinating drape neck print dress to a friend’s birthday dinner. This coat caught my eye right off the Marshalls rack in the winter of 2011. Besides the color, I really liked the leather patch details and the outstanding buttons. The coat was a steal too; I snatched it at $69.99, a real bargain for any type of coat. The dress is from last year’s LOFT summer clearance sale. Looking forward to switching to the spring wardrobe soon, stay tuned! Color blocking is hot right now; I chose this dress because the two complementary shades of blue give a pop of color and bring out a shape that accentuates my figure. This dress is perfect for work to dinner. Pair it with classic pumps for a professional look. Spice it up with platforms and Jewelry for a dressier look. Hope you like it too!